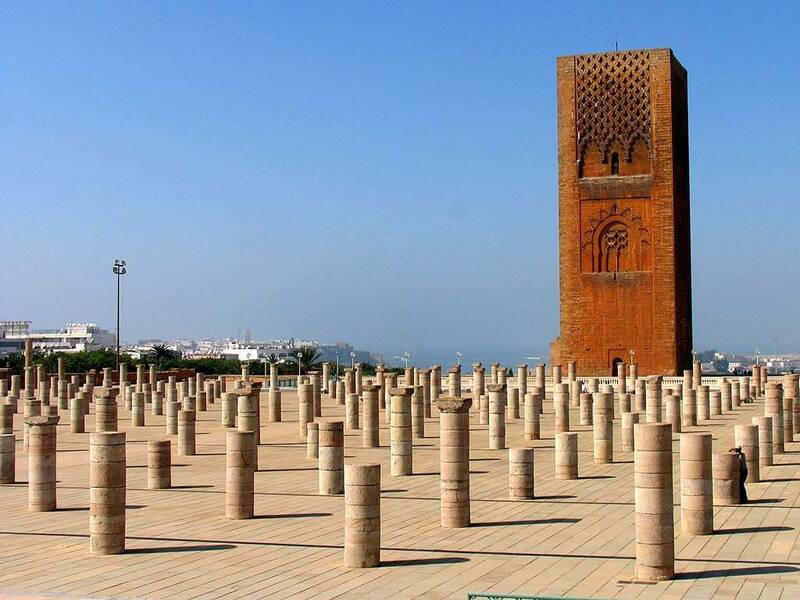 We will spend the day in Rabat, the administrative capital of Morocco and one of the four imperial cities. We will go to the most emblematic places, such as the Torre Hassan or the Mausoleum of Mohammed V. And you can walk through the medina or go into the Kasbah of the Udayas, where it is more than advisable to have a good time drinking tea by the sea. In the morning, after breakfast, we will leave for Fez. We will arrive around noon and visit the surroundings of the Royal Palace and the Melláh. We will have a good lunch before continuing our visit, now with a local guide, in the colossal Medina of Fez. We can also visit a pottery workshop and we will have a splendid panoramic view of the Medina. We will stay in a riad for the night.